Leave The KLEENING To Us! High Security environments require specialized knowledge and infrastructure to successfully operate in, and are a Mister Kleen specialty! We have the qualifications, experience and personnel to handle our partner’s needs in this sector. Mister Kleen is Green Seal GS-42 certified and committed to sustainability. Through environmental responsibility such as proper processes, training and choice of cleaning products, we help our partners provide a healthier work environment for their employees. Everyone wants to hire and retain good people. We show our commitment to do that here at Mister Kleen through good supervision and training. Not only are all our employees provided multi-tiered internal training, but many have professional designations such as the Registered Building Service Manager (RBSM) and the Institute of Inspection Cleaning and Restoration Certification (IICRC). This combination of supervision and training has helped Mister Kleen have one of the lowest turnover rates in the industry which translates to better experience and quality for you! For over 40 years and 3 generations, Mister Kleen has been family-owned and professionally-managed. Being family-owned, we have a high level of passion for what we do and for our partners. Being professionally-managed takes that to the next level through a dedication to learning, a focus on best practices and a commitment to process that drives excellence. A combination for success! 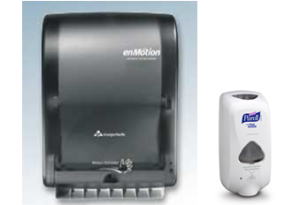 Few cleaning companies have the resources necessary to clean secure government facilities. Mister Kleen has both the cleaning and security expertise to get the job done right. Trust us to handle your facility’s daily cleaning so you can focus on running your business. With frequent training and environmentally friendly products, our team will ensure your facility stays in top condition. No matter the need or emergency life throws at your facility, Mister Kleen is ready to deliver fast response times and exceptional service. We are Green Kleening your community one building at a time! Sustainability is a standard, not an option! Mister Kleen is Grean Seal GS-42 certified. We use environmentally-friendly cleaning products and routinely train our employees on environmental best practices and processes to contribute to a greener planet. This is the culture we cultivate at Mister Kleen. We are constantly looking for great people to join us on our quest. 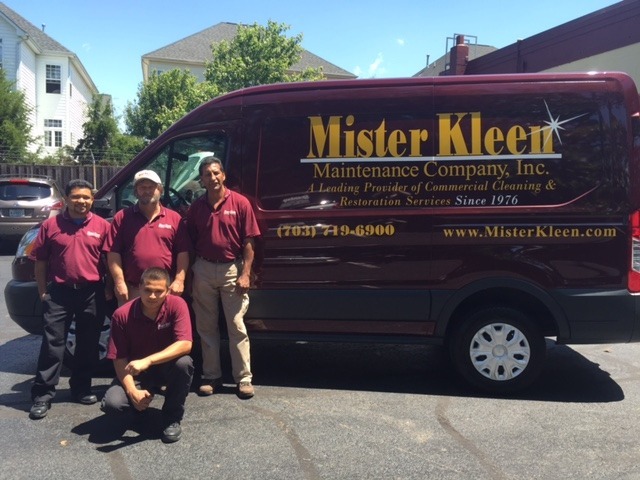 Become part of the team today and experience the Mister Kleen difference! I wanted to take a moment to express my appreciation for the hard work your crew performs every night. Each morning when we come in our office spaces reflect the care that your crew has for our space and the pride in their own work ethics. Please pass on to them that each of us in Buchanan & Edwards office appreciates their hard work and dedication. 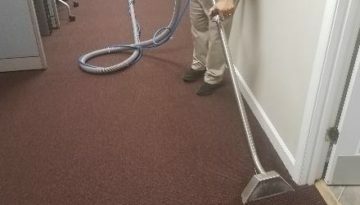 Debbie's quick response and diligence has saved us from having to replace carpet squares and ensured the conference center is in pristine condition for future events. Debbie’s continued support to our facility is highly valued, and I want to re-emphasize how much her hard work does not go unnoticed. For the past five and a half years, I have had the pleasure of experiencing excellent support from Joyce H. Her attention to detail and friendly demeanor are appreciated by all my colleagues and me. If there is one thing she could do better for us, I cannot think of what that could possibly be. She is superb! I have never had a porter who took so much pride in not only the building but the clients. Manuel is a great asset to this complex. He is one of the nicest and courteous people on the planet. The entire team is top notch and make it a pleasure to do business in this facility. I'd like to take a moment to say what a fine job Roy is doing as a cleaning supervisor at our site. He is always very responsive to anything asked of him and goes the extra mile to follow through and touch base with me after a request has been completed. Roy has taken very well to his leadership role as evidenced by his strong team, the look of the building and compliments from the facilities staff. Job well done to him and to Ray for providing excellent training and always setting a great example. Thank you! "I wanted to take a moment to express my appreciation for the hard work your crew performs every night. Each morning when we come in our office spaces reflect the care that your crew has for our space and the pride in their own work ethics. Please pass on to them that each of us in Buchanan & Edwards office appreciates their hard work and dedication." "I have never had a porter who took so much pride in not only the building but the clients. Manuel is a great asset to this complex. He is one of the nicest and courteous people on the planet. The entire team is top notch and make it a pleasure to do business in this facility." Stay in the loop with Mister Kleen news and updates. Sign up for our newsletter today! 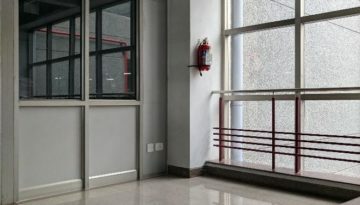 Resilient flooring is a common choice for many commercial and high security facilities in the Washington DC metro region.. Perception can be reality. This is especially true when it comes to the appearance of your carpets and upholstery. While you can get the flu any time of year, the winter season is when this illness spreads the.